Oak Canyon Dentistry provides comprehensive oral healthcare for infants, children and teens in a fun and family-friendly environment. Dr. Haase and his specially trained staff are committed to making your child’s dental experience a pleasant and comfortable one. At one point, Dr. Haase considered becoming a Pedodontis (Children's Dentist), but decided to treat BIG KIDS as well! What Should We Expect On A First Visit? 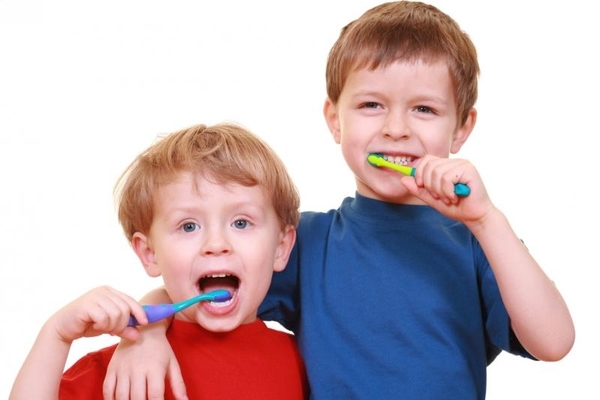 Our staff believes in establishing good oral hygiene habits early in your child’s life. Therefore, it is in your family’s best interest to schedule your child’s first dental appointment no later than their first birthday. On this visit we will gently examine your child’s teeth and gums, take x-rays to monitor the underlying permanent teeth, then clean their teeth and apply topical fluoride. We also make sure to go over proper cleaning and care techniques with you and your child so that you can continue the care at home.